That perfect score for Bayonetta is no hoax. 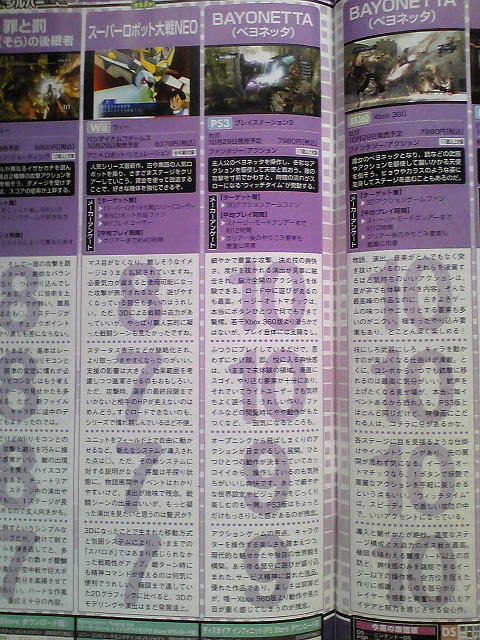 This week’s issue of Famitsu has leaked tonight and the scans prove that Bayonetta did in fact receive a perfect 40/40… on Xbox 360, at least. The PlayStation 3 version of the game wasn’t as up to par, according to Famitsu, scoring the game a 38/40.